Join the Little Fins Team…Apply Today! 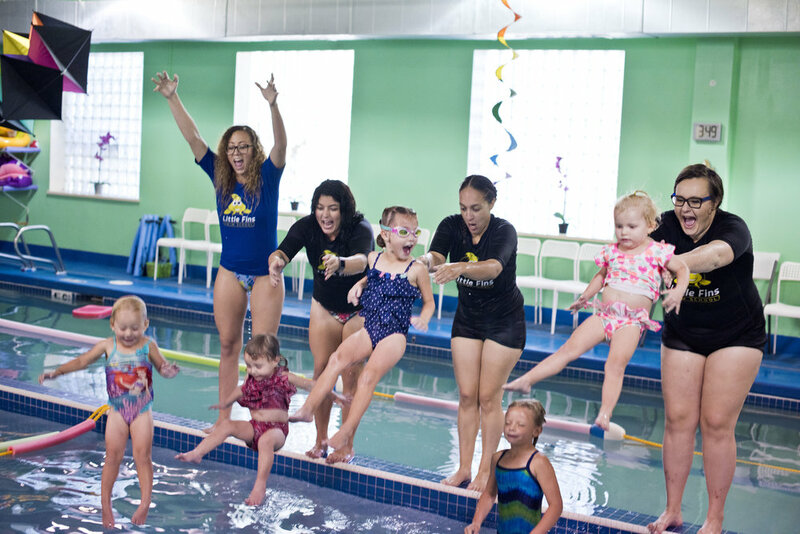 As a swim instructor you will be responsible for the safety of your lesson/class and teaching your student(s) to swim. You must come to work ready to have fun and create the best environment for your class. You will be great at communicating with your students, their parents and with your fellow employees. You will report to the Deck Manager but we are relying on your enthusiasm, empathy and creativity to create a magical experience. You get to work with children and teach them lifesaving skills. Fun, friendly and supportive environment with a team of engaged colleagues. Everyone at Little Fins is passionate and driven toward upholding our values. Every day is different and you get to use your creativity to engage children. Completion of required training, with continued education. Instructors must attend a minimum of 6 Skills Workshops annually. Skills workshops are offered 1-2 times monthly. Following the Little Fins Curriculum and being focused on children’s happiness, well-being and progression through our program. Ability to work in the water for periods of 3-6 hours. Everyone starts at 3 hour in pool shifts. The ability to focus in a fast-paced environment. Punctuality is very important. Lessons and classes start on time, every time. Must be CPR certified prior to completing training period. All team members must have current CPR certification. Background check required. We work with kids after all. Our goal is to create a remarkable experience every time, not only for our swimmers and parents, but also for our team members.